Scientists have discovered a secret, giant void hiding inside the Great Pyramid of Giza in Egypt. 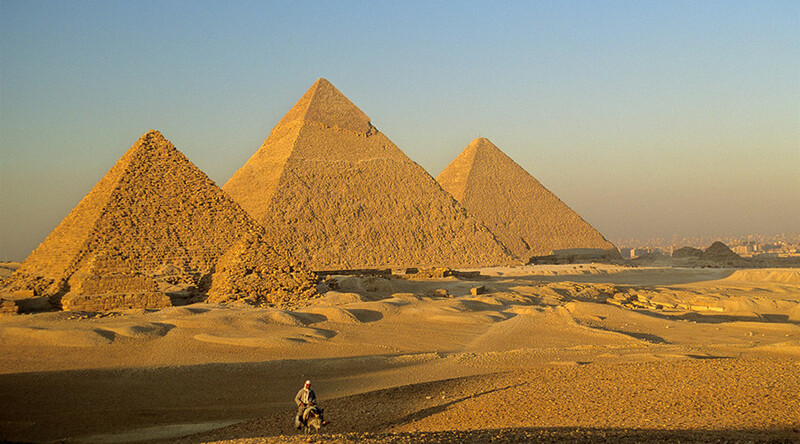 Located above the pyramid’s Grand Gallery, the 30-meter-long void inside Khufu's Pyramid remains a mystery. Its size suggests it plays an important role in the tomb’s structure. It’s the first discovery of its kind since the 19th century. “These results constitute a breakthrough for the understanding of Khufu’s Pyramid and its internal structure,” the scientists explained in a journal published in Nature. 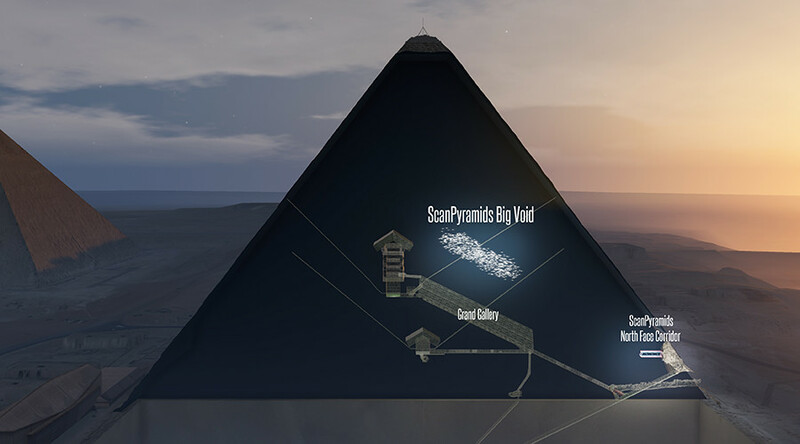 Scientists uncovered the void as part of the ScanPyramids project that dates back to 2015. The chamber was found using cosmic-ray imaging and by recording subatomic particles, a practice known as muon radiography, which bounces inside the structure providing an outline for 3D reconstruction of the space. This method allows researchers to visualize the known and potentially unknown voids in the pyramid in a non-invasive manner.